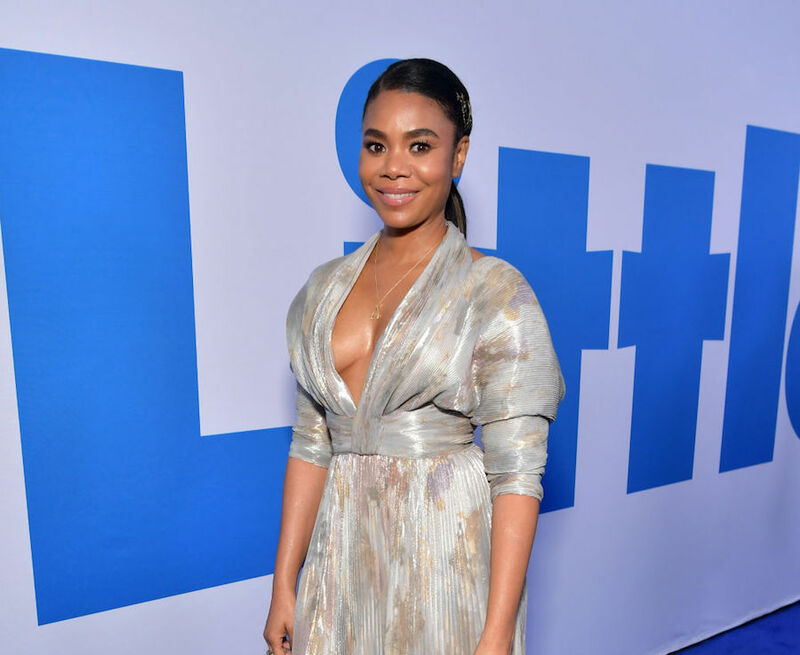 Creating a character that an audience can simultaneously view with disdain, empathy, and amusement is no easy feat, but that’s what Regina Hall does as tech mogul Jordan Sanders in Little, the new comedy from Universal Pictures. In the number-two movie in America, Hall masterfully portrays the stylish yet monstrous CEO of Jordan Sanders Industries (JSI), an app development company where Jordan actually screams at employees who dare bring carbohydrates into the building, atrociously mocks young children who play in the parking lot, and regularly lets her exhausted staff know that she thinks they’re worthless idiots (especially her mistreated assistant, April, played by Issa Rae). But Jordan wasn’t always a heartless millionaire on the cover of tech magazines. In middle school and beyond, she was ruthlessly bullied by classmates, so little Jordan (Marsai Martin) made it her mission to one day be more powerful than all of them in a world where women—especially Black women—are already demeaned in the workplace. Jordan succeeded but evolved into a cold, disrespectful, and plain mean person in the process so that nobody could ever bully her again. Even if it meant refusing to uplift other women like her, including April, who dreams of creating apps like Jordan. 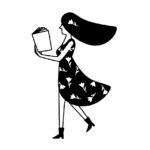 When a magical set of circumstances results in grownup Jordan waking up as childhood Jordan, she is forced to remember what it was like to be vulnerable, lonely, and powerless. In return, the audience is gifted a witty, moving story about redemption, female empowerment, friendship, and romance in a movie with all Black women leads that Marsai Martin pitched herself when she was only 10 years old (!). HelloGiggles spoke to Hall about the joy of playing cruel characters like Jordan and what she hopes the audience learns from the film. (Heads up: There are some slight spoilers in our conversation below). HelloGiggles (HG): You captured this horrible boss character perfectly. Did you think about horrible bosses from your past to prepare for the role? But it was really so much fun to play. That’s not a way that you would behave in real life, but to get to do that on camera as a character…It’s such a departure from who you are in real life, which is what’s so fun in storytelling. HG: You and Issa Rae have excellent chemistry and comedic timing with each other. What was your favorite moment together on set? HG: You and Marsai don’t share any scenes, but what it was like to create the Jordan character together? RH: That was really fun—creating the mannerisms so we could connect grownup Jordan and young Jordan; we found stuff that we’d remember to do that could be instinctive. Marsai is so great and so gifted. I love that she, at this time in her life, is really being so creative and using her talent and her efforts to create images for young girls to watch, and addressing some of the things she deals with in her own life. HG: I love how Jordan experiences obvious emotional growth by the end of the movie, but it’s not a complete transformation—as we can tell from that minuscule “and associates” addition to her company sign that she thinks is so meaningful. RH: (laughs) Jordan’s not fully there yet—that sign was so small. When i saw it, I was like, ‘Oh, poor Jordan.’ She tried. HG: I really liked how it addressed the fact that, no, it would still be impossible for anyone’s personality to completely transform overnight. RH: Yes! Change is incremental; she wasn’t overnight a different person. But you saw that now she was having fun. The office had dressed-down Fridays and you could eat donuts. She at least put that ‘and associates’ on the sign, even if it was small. HG: Fashion is important in the film, in terms of its role in the story and the distinctive look it gives its characters—especially in the case of Jordan. When little Jordan puts on that pink pantsuit and takes her new friends on a shopping spree, when April excitedly raids Jordan’s closet, when Jordan dons her bold outfits throughout the whole movie, and so on. Did you have a favorite look for Jordan? RH: I had two moments that i really liked. I loved Jordan’s opening outfit. We see men wear red ties to have power, so I loved that Jordan had a red pant. I loved that her shirt was feminine in the back but kind of masculine in the front, like a button up. 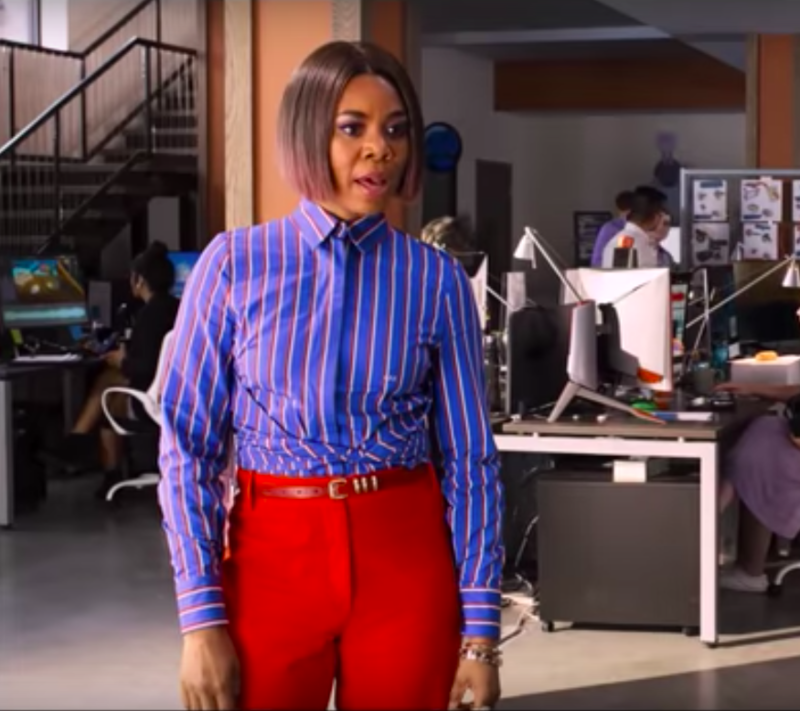 One of the things I wanted Jordan to have—Tina [Gordon, the director] wasn’t sure but she ended up being really happy with it—I wanted to play with color in Jordan’s hair. Which is why grownup Jordan has that bob with pink highlights. I’m a big hair person. So for me, having your own company and looking professional is great, but one of the things about having your own company is that you can express what that looks like to you. I thought Jordan would love to play with hair color. And then I loved when grownup Jordan comes back and she has on that white dress with the orange sunrise pattern. HG: Little has a lot to say about bullying, about women and Black women in the workplace, about letting your guard down in relationships, and having second chances. There’s a lot there—what do you hope the audience takes away from the movie after it ends? RH: I think, honestly, I don’t have one thing—it’s like what you said. For so many people, there are so many different things they’ll be able to relate to. I think for young kids at school being bullied or bullying, hopefully they’ll reexamine that and think about how things that they say or do can affect someone’s life. People who can remember a time in their life when they had a lot more trust and the importance of having friendships. People who resonate with April’s character or resonate with grown up Jordan. The idea of not taking no for an answer and being tenacious about what you want. I think it will be different for every viewer, but I can certainly hope that there is something in the story that is magical for everyone…that we can all find something that resonates with us.